The weekend offers a welcome respite for the weary nine-to-fiver — a much-needed break from the hustle and bustle of the highly demanding office life. For many Pinoys working corporate jobs in the metro, Saturdays and Sundays are highly anticipated, as they present an opportunity to mix fun, excitement, and adventure into an otherwise dreary day-to-day existence. 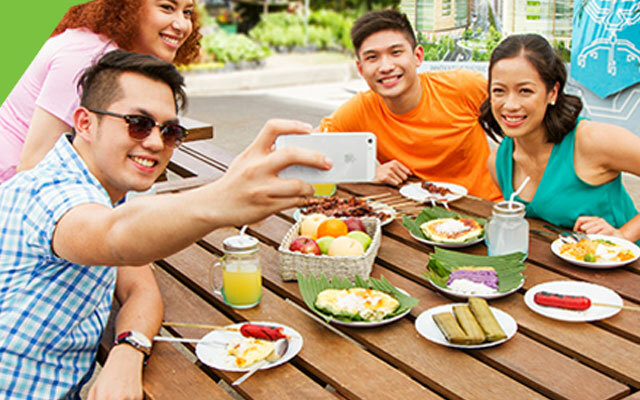 Many Pinoys take some time off to visit other regions in the Philippines. Manileños, for example, avail special ticket prices to go to Cebu, Iloilo, Davao, and other lovely tourist destinations to sample the local cuisine and acquire unique experiences. For those with limited options, however, they need not leave the confines of Luzon to create their own exciting weekend stories. A quick trip to Porac, Pampanga would be more than enough for the weekend warrior and his or her friends to escape the busy city and recharge. For health enthusiasts or regular trekkers, it would be a good idea to make the trek to Porak Peak. A trek up this 28-kilometer trail is not only good for one’s physical health, but also easy on the eyes. As you and your friends make it to the summit, you’ll find yourselves admiring the beautiful view from the top — specifically, the Miyamit Falls. With water that’s clean enough to drink and the chance to take a relaxing swim, you’ll certainly feel relaxed and rejuvenated. All you need to do prior to your Miyamit adventure is to secure the necessary waivers and permits at the Municipality of Porac. Transportation options are available for traveling all the way to the falls. It is best to see the falls during the rainy season, as the rushing waters will increase in intensity. The Sandbox at Alviera offers an exciting ATV or UTV ride around Porac. Among the many sights you’ll see is the Pasig-Potrero river. The ride passes through the river, which has shifted to the west after being blocked by a six-meter-high layer of lahar. Located in Barangay Mancatian, the Pasig-Potrero river is close in proximity to the signature sights of Porac, including the famous trail to Mt. Pinatubo. Appreciate the beauty left behind in the aftermath of the Pinatubo eruption, and witness with your eyes the story of a triumphant comeback from tragedy. ATV and UTV rides aren’t the only things you can enjoy during your weekend trip to Porac. 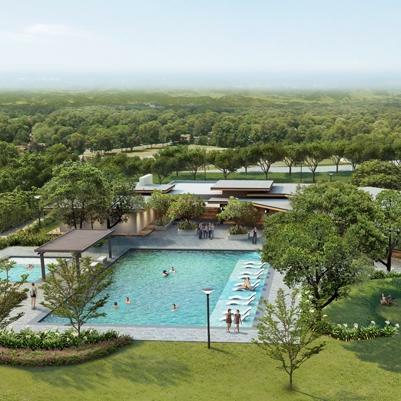 The SandBox is located in the vast expanse of the Alviera property in Porac. It is an all-in-one entertainment adventure facility designed to give a unique and enriching experience for you and your friends. Here are a few of the other activities you can engage in, only at the SandBox. The Adventure Tower is a 15-meter, 5-storey structure that offers rappelling, wall climbing, jump-off free fall, and other exhilarating activities. By virtue of its sheer height, it’s also the best place to get a great view of the entirety of Alviera. If you’re a fan of ziplines, the 180-meter-long, 12-meter-high stretch that is Avatar One is definitely worth trying! The Giant Swing is a three-storey-high swing. Yes, it’s as ridiculously fun and exciting as it sounds. It also happens to be the largest swing in the Philippines. Feeling brave enough to traverse tricky rope walkways and nets? Try the Aerial Walk Challenge — as a bonus, try getting through the entirety of the course in just half an hour! Get ready for the wipe out experience you have been waiting for with Splash Tub, the SandBox’s newest attraction. 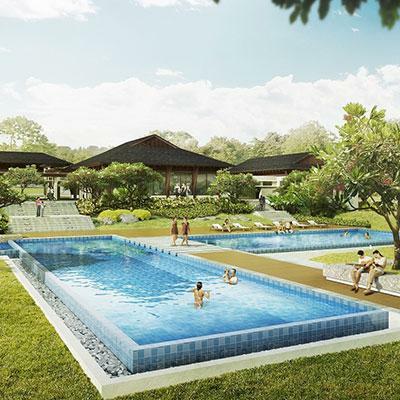 A 1,200-square-meter water obstacle course with 11 challenges for adults, you’ll certainly have hours of fun swimming and playing with the inflatables. And, of course, getting drenched. Relive the glory days of your childhood with City Kart Racing. Quickly becoming Porac’s most popular attraction, you can add this to your Saturday and Sunday itinerary between 2 PM and 6 PM. Lastly, be your very own urban superhero with Outdoor Archery! You can forget about finding a costume, because all you need are a bow, some arrows, intense focus, and the desire to have fun while hitting all those targets. What are you waiting for? Have that epic weekend warrior experience you’ve been longing for at Alviera. Contact us for more details.